Description: Sportsman, O.D. 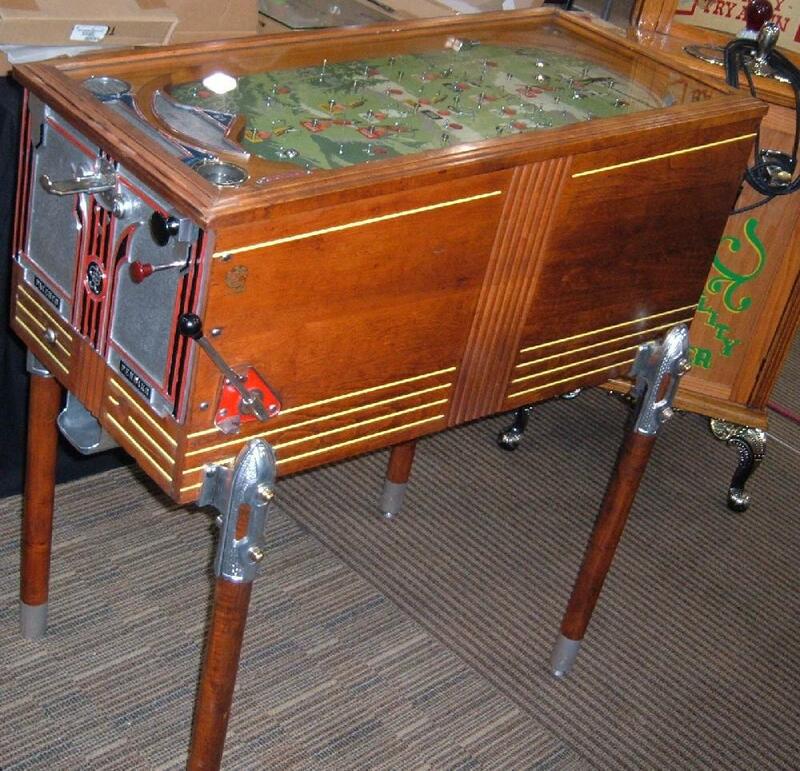 Jennings, 1934-1936, a slot machine dressed up as a pinball machine. Manufacturer started in 1934, with the cabinet being redesigned in January 1935. 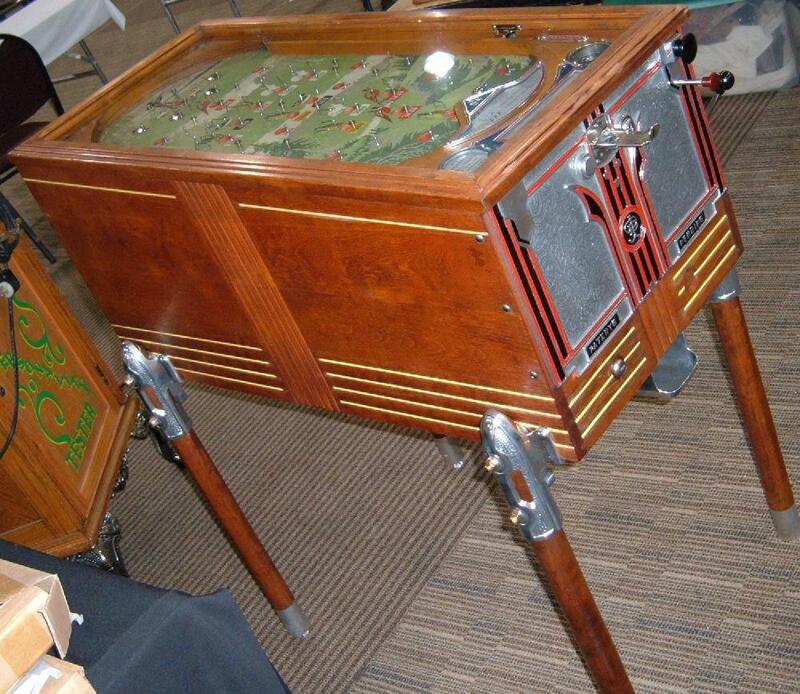 The Jennings Sportsman appears to be a pinball machine with a ball shooter, pins on a playfield, and number values underneath the holes. But there is a slot machine lever on the side and a payout tray in the front. There is a little ball on a tiny little pedestal. It will fall off if you nudge too much and then the game will not pay a winner (tilt). Also if the player gets a high paying winner, and then a low paying winner before getting the skill hole (and pulling the payout lever), only the low paying winner is paid. Skill shot and all three quail gets 60 cents. The pheasant holes pays 45 cents. The three rabbit holes and a lever pull rewards 30 cents. 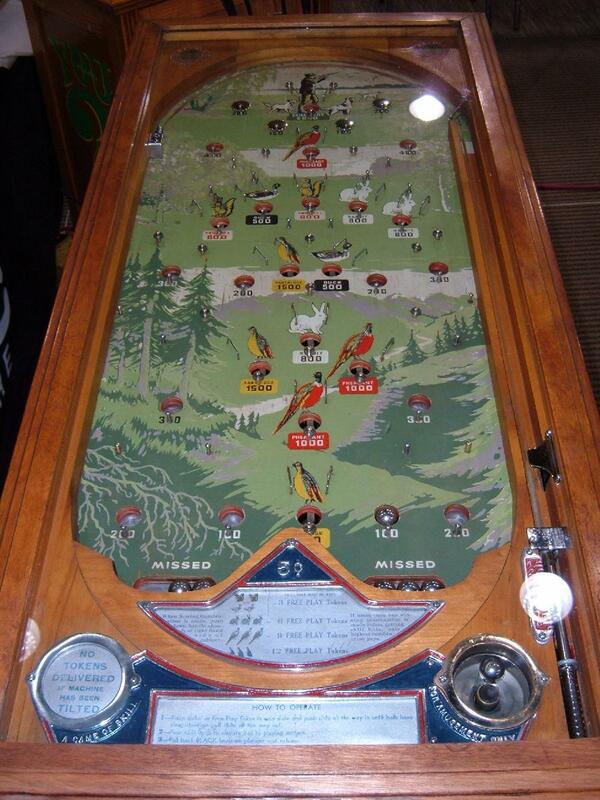 Jennings also made a non-payout version of this game in 1935 called Hunter.